Camera drones are a wonderful thing. They get shots that we can’t get on our own. Whether it’s a familiar hike or someplace new, a camera drone can provide a new perspective. Unfortunately, these were not made for the average consumer. They can be big and expensive, and require flight practice with large controllers. 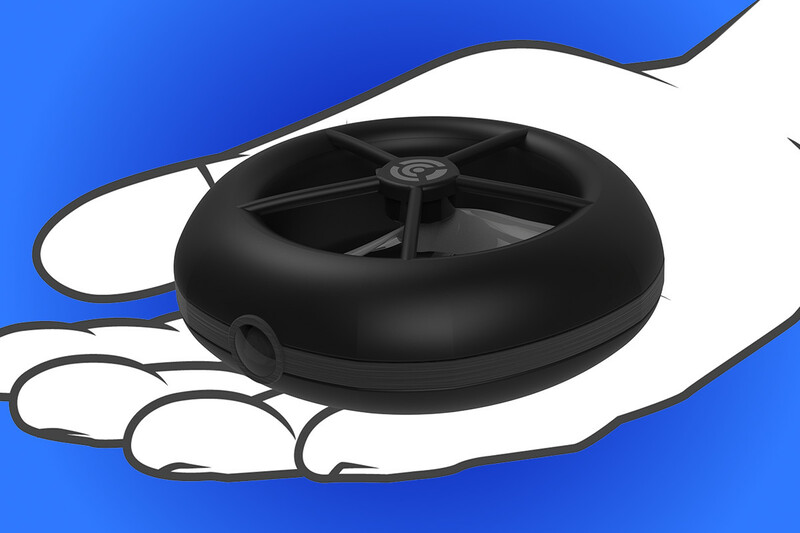 Two engineers want to change that with the Cleo drone. Developed by Omar Eleryan and Simon Czarnota, this little drone is small enough to fit in your pocket and was built for widespread use. “Drones need to be safer, smaller, and easier to use,” said Eleryan in a statement to Metro News. He and Czarnota achieved this by trimming the fat that the average consumer doesn’t care about. Think of it as the point and shoot of camera drones. From the design alone, the Cleo drone is different from others on the market. Gone is the typical quadcopter design. In its place is a combination of helicopter and rocket technology. By stacking two blades, the Cleo retains stability while achieving a small form factor. With a smartphone acting as the controller, you get a drone that anyone could carry around. With its size, you would think the camera would really suffer in quality. A drone costing more than $1,000 may have a better image, but Cleo is still able to capture high-definition video. The app aims to make everything much easier for the user. With the tap of a button, Cleo can shoot 360-degree video, panoramic shots, bird’s-eye views, or the perfect selfie. Eleryan hopes that after creating home videos, users will start experimenting with the tech. The Cleo drone could be fitted with infrared or thermal software to aid in emergencies. A firefighter might use it to detect people who are trapped in a burning building. It can also help prevent firefighters from putting themselves in harm’s way by detecting whether there are people inside. And since the drone was built with affordability in mind, losing a few drones out in the field won’t be a budget-busting proposition. The Cleo drone will make its international debut during Consumer Electronics Show (CES) 2017 in Las Vegas in January. If the final design is half as good as the prototype models, this could be a game-changer, with drones finally finding a mainstream audience.